Kathleen Tuntisukharom, political science major, is one of four CSUN students to be awarded the prestigious Benjamin A. Gilman International Scholarship for the 2015-2016 school year. The competitive scholarship is awarded to students that are recipients of Pell Grants and are often underrepresented in study abroad, such as minorities. According to the International Institute of Education’s 2014 Open Door Report, only 1.5 percent of U.S. students study abroad and 23.7 percent of them are minorities. The 22-year-old will study in Seoul, South Korea at Yonsei University, the oldest university in Korea, through the CSU International Program. When deciding where to study abroad, Tuntisukharom had considered one other place besides South Korea. “The only other place I seriously considered was Thailand since that’s where my parents are from,” Tuntisukharom said. However, the choice to study in South Korea came from childhood influences. As a first generation Thai American, much of her decision to study in South Korea was because of being raised in Koreatown and the influence of Korean culture that she experienced. The path to studying abroad hasn’t been completely pain free for Tuntisukharom. After being rejected from the CSU International Program’s competitive South Korean program and not receiving the Benjamin A. Gilman international scholarship for the 2014-2015 school year, she decided to apply again the following year. Tuntisukharom’s desire to study abroad began in her freshman year of college. Juliet Aylmer, coordinator for the CSU International Program on campus, recalls the first time she met Tuntisukharom. One of the biggest concerns for Tuntisukharom’s parents was her ability to be financially stable while abroad. Having already experienced sending her older brother abroad, they wanted to make sure that she wasn’t financially strained. Winning the Gilman scholarship has helped her quell those fears. A participant of the Model United Nations, her desire to work in international relations also influenced her decision to study in South Korea. She hopes that studying abroad will help her with her future education and career goals. Political science professor Keiko Hirata said that Yonsei University is a prestigious school. One of the qualifications for winning the Gilman Scholarship is a follow-up project that students have to complete upon returning from studying abroad. For Tuntisukharom’s project, she will be assisting with information sessions in the International and Exchange Student Center on campus. In addition to helping with sessions, she wants to personally be able to give a first-hand account of what studying abroad is like for a CSUN student. Tuntisukharom said the overall experience of studying abroad is about self-discovery and creating opportunities for herself. 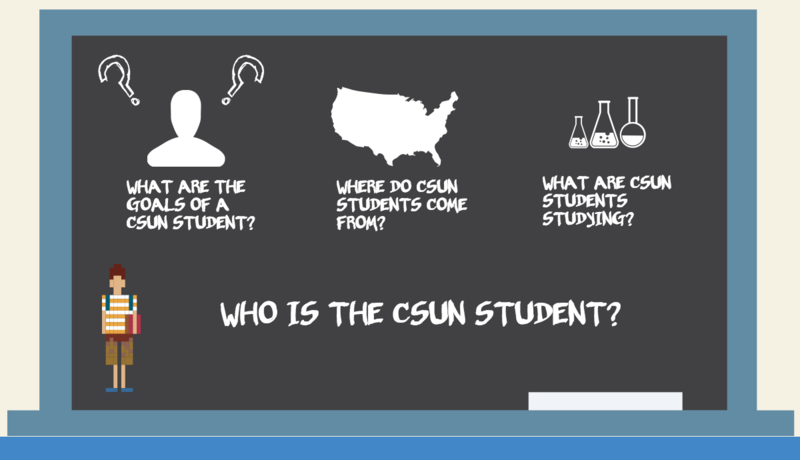 Infographic: Who is the CSUN Freshman?